Just in time for the IFA 2016, the traditional German manufacturer Loewe has a real premiere. 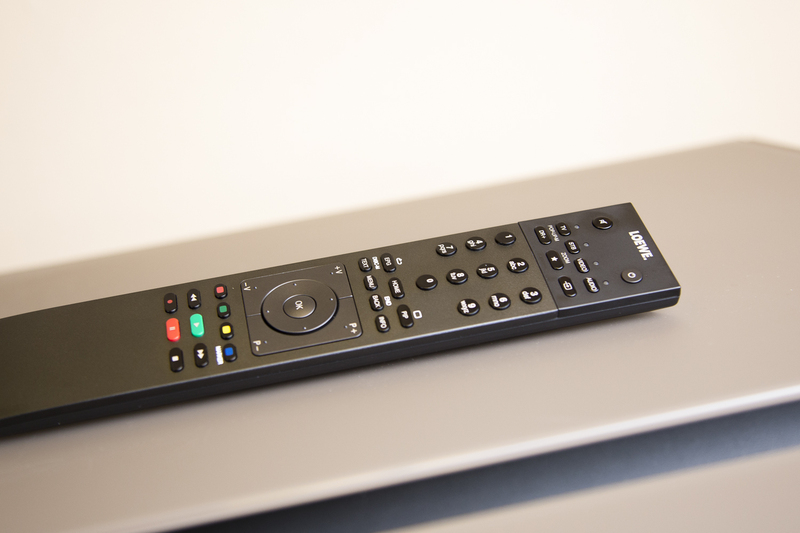 With the Bild 7, the company is presenting an OLED TV in its portfolio for the first time. We have put together the most important facts in advance, probably on September 9th, you can get an impression of the picture here. 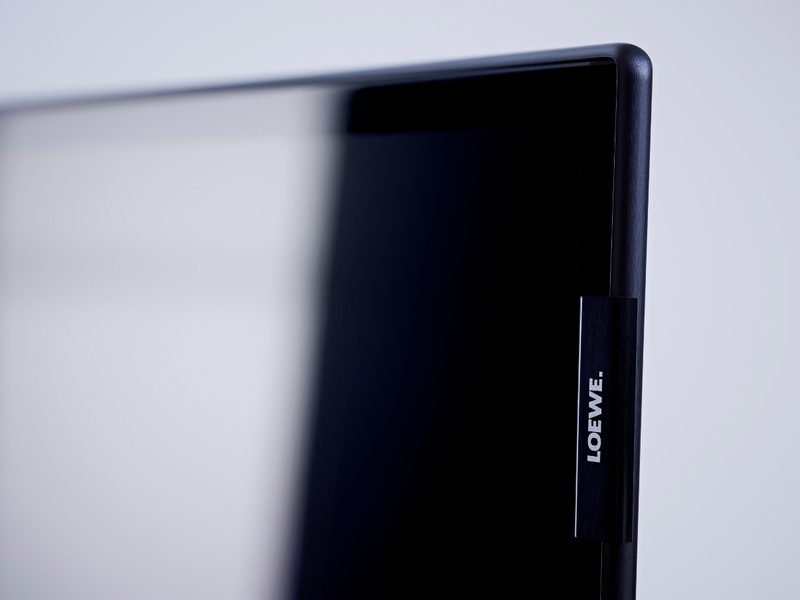 After LG had long been the only large TV manufacturer to rely on OLED displays, and its development has advanced significantly, the technology is now so sophisticated that other manufacturers, in the specific case Loewe at the new picture 7, this special panel technology for their Television available. The self-illuminating pixels can be controlled very precisely, in contrast to the LED TVs with LC display and LED background lighting, and can even be switched off completely, so that an extraordinary black representation is possible. The color and brightness representation is thereby all the more saturated and convincing, especially if the material being played is of corresponding quality. In this context, it should be noted, of course, that image 7 also reproduces the new HDR content. Both the HDR10 and the DolbyVision standard are supported. Together with the upscaling algorithms, which calculate SD and HD content to the Ultra HD resolution, as well as other image enhancement programs, which serve the brightness and color optimization, Loewe summarizes the new image 7 technology as a whole under the term VantaVision. 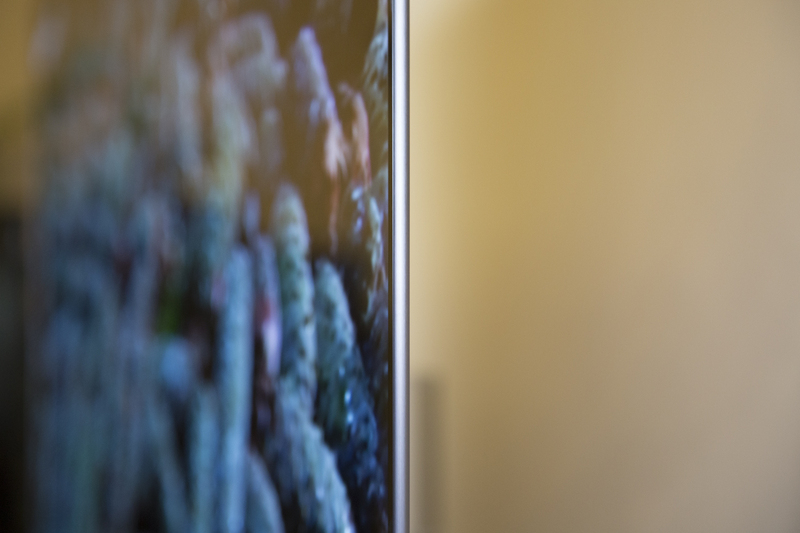 Apart from the captivating image quality, OLED technology has yet another advantage: since no additional background lighting is used, Loewe is able to build extremely flat the picture 7, which will be available in 55 “and 65”, incidentally . 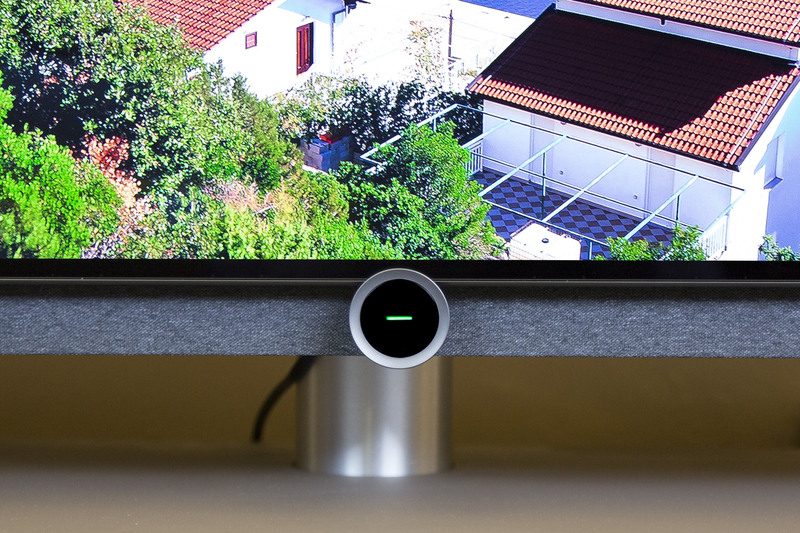 The panel itself is only seven millimeters deep, taking the rear construction into account, the new Loewe TV measures at the lowest point about five centimeters. The backside is, incidentally, remarkable in two respects: First of all, it is optional to cover the same with a noble fabric cover to make connections and cables disappear. 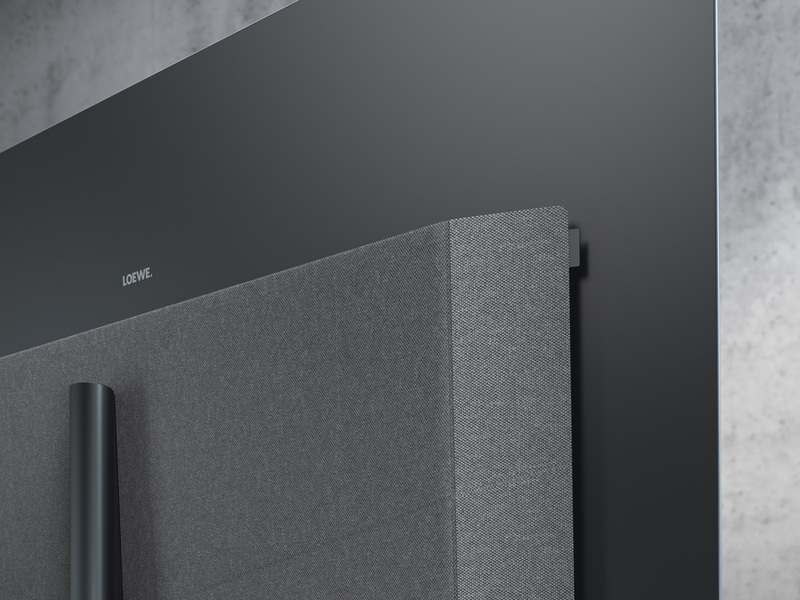 In addition, a sound-rich stereo soundbar with four low-six high / mid-tone drivers was integrated into the lower section. If you switch on picture 7, the display is moved upwards by a mechanism and the view of the loudspeaker, which is also covered with fabric, will be free. The well-known Loewe eye is once again an unmistakable sight in the new top model and shows the current operating condition as always. 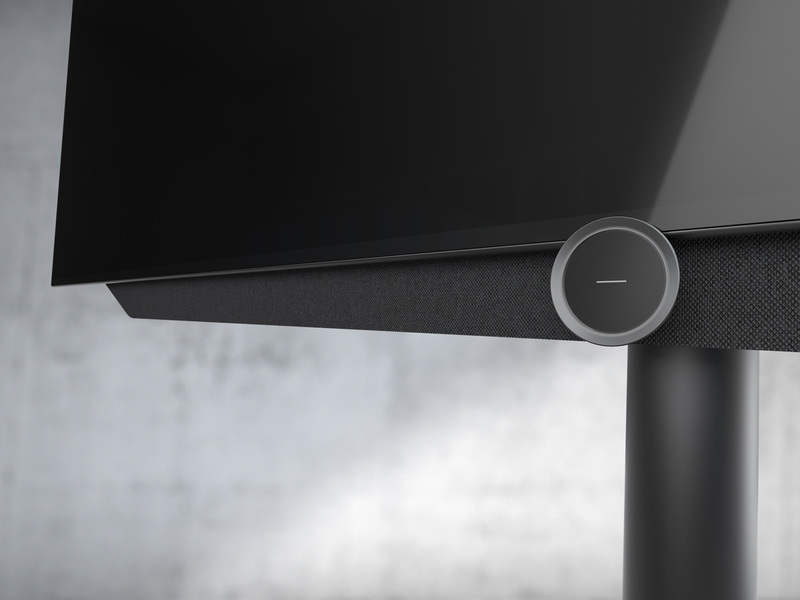 Loewe also offers various mounting and fixing solutions from the motorized table base, including concealed cable guides, to flexible wall brackets. 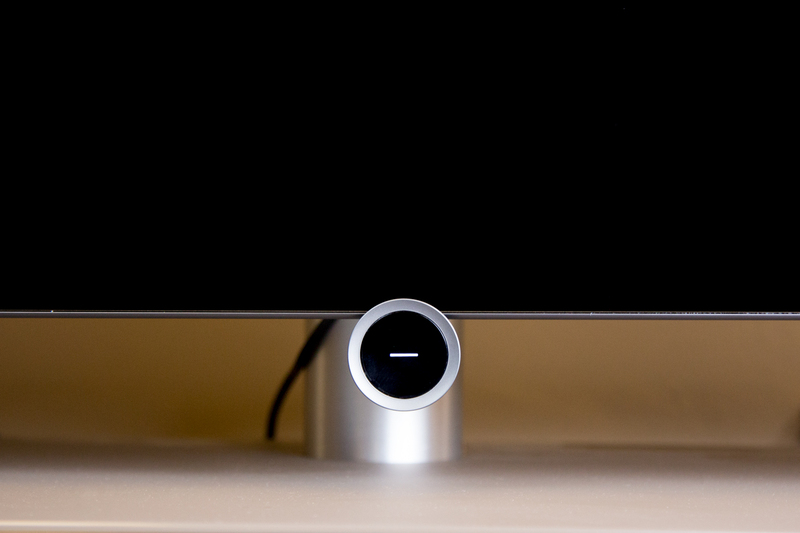 A non-adjustable bracket for wall mounting is already included in the delivery. The connection field of the picture 7 does not hold any big surprises: To transmit AV signals, a total of four HDMI interfaces are available, one of them is based on HDR metadata as well as 4K content with 60fps. The double triple tuner, including DVB-T2, allows simultaneous recording and playback of another program in real-time, thanks to two CI + slots, encrypted programs can also be received. The Micro-AV interface also allows to connect a separately available adapter for the old Component / Scart / VGA connections. In addition to a proprietary audio interface for Loewe Soundsystems, there is also the possibility to play sound via a digital output in coaxial format as well as an analog 3.5 mm jack output. Via Bluetooth, music files from smartphones, tablets and co. Can be streamed directly to the picture 7. In addition, external storage media can be connected to three USB 3.0 ports, an Ethernet socket and an integrated WLAN module ensure network connectivity. The operating system has, of course, also received an update, but Loewe has placed great value on retaining old virtues. Accordingly, the operation at the picture 7 goes fast from the hand, the menus are thought out structured. It is easy to adjust numerous image settings, video-on-demand services such as Amazon or Maxdome (Netflix is not available), as well as the various broadcast media counters and even music streaming providers like Deezer or Tidal. 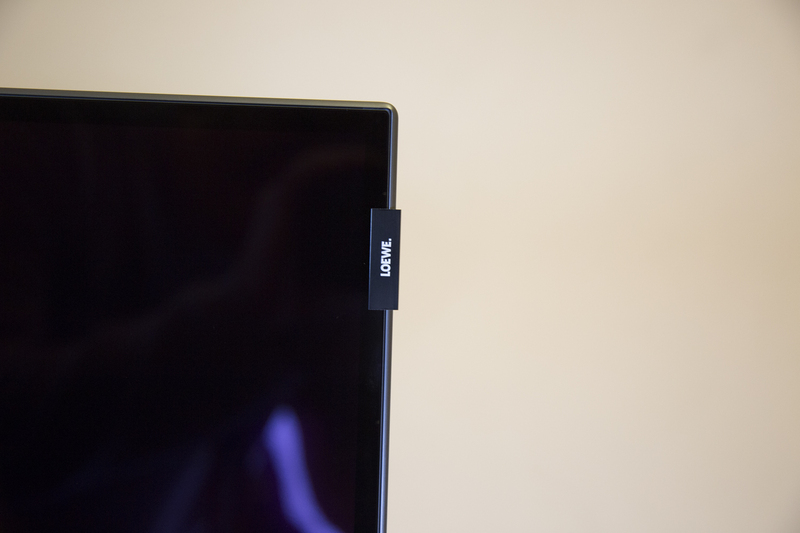 If more Loewe devices are used in a household, contents which are received live from the image 7 tuner or recorded on the internal hard disk can also be reproduced on these. It looks as if Loewe has landed a real hit with the bild 7. 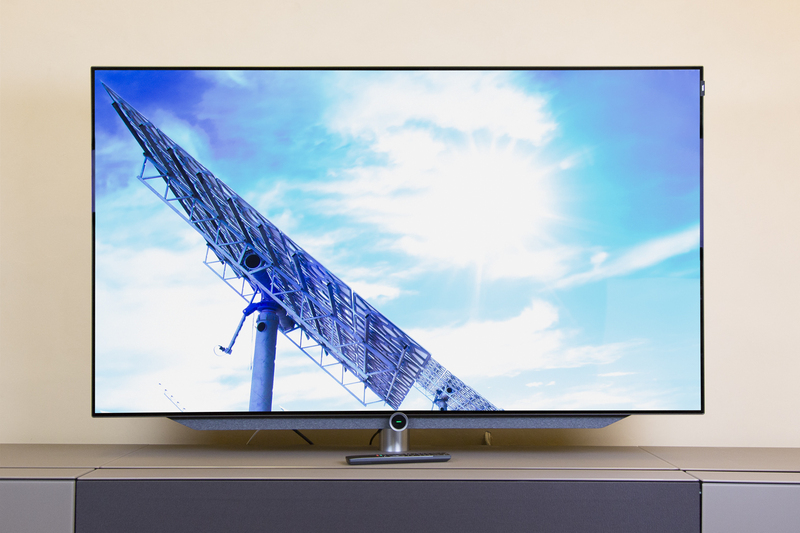 Regarding the picture quality, the first impression is outstanding and with HDR10 and DolbyVision the first OLED TV of the German manufacturer is well prepared for the future. Visually, the image 7 anyway is beyond any doubt and the range of functions leaves hardly any wishes open. As soon as we have the device in the screening, there are, of course, photos and, if necessary, a content update. 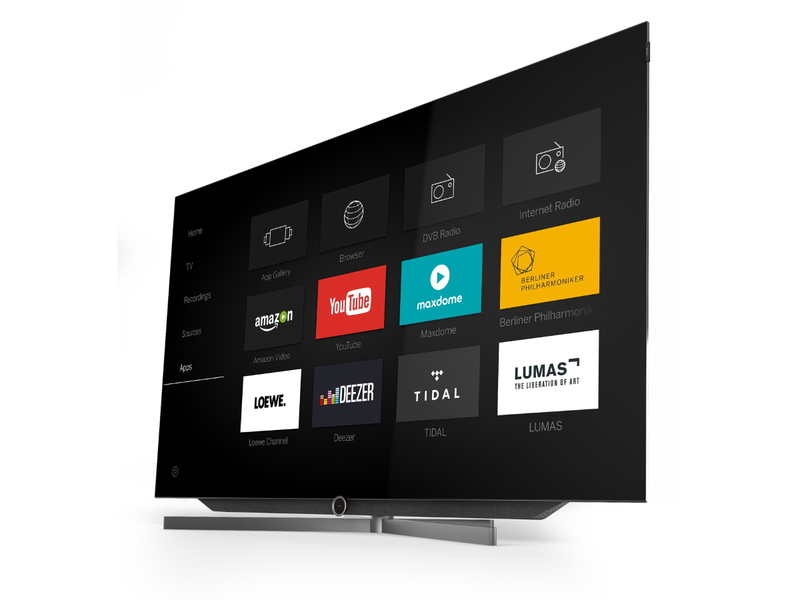 Update 12.09.2016: In the meantime we have the Loewe bild 7 in the 65″ version in our presentation and you are cordially invited to the test it out!